Want to learn the basics of making clay art? Try one of these introductory classes that focus on construction and glazing techniques. 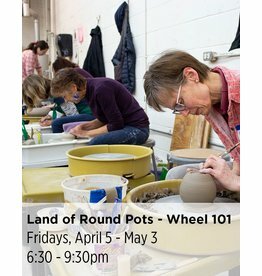 These classes will have fewer students, ensuring plenty of student-to-teacher contact time, and they are shorter, making them ideal if you have little or no experience with clay and want to test your interest. Get your hands wet during five weeks of instruction. 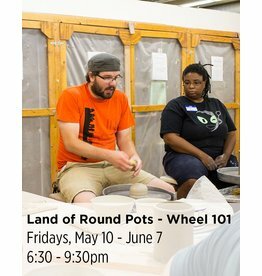 We recommend that you take this class two or more times (within one quarter, or over consecutive quarters) to build your skills and prepare for beginner-level classes. Wear old clothes, and bring an old towel, a bucket no larger than 1 gallon, and a beginner’s set of pottery tools to the first class. Lab fee includes one bag of clay (25 pounds), all glazing materials, firing, and open studio access.